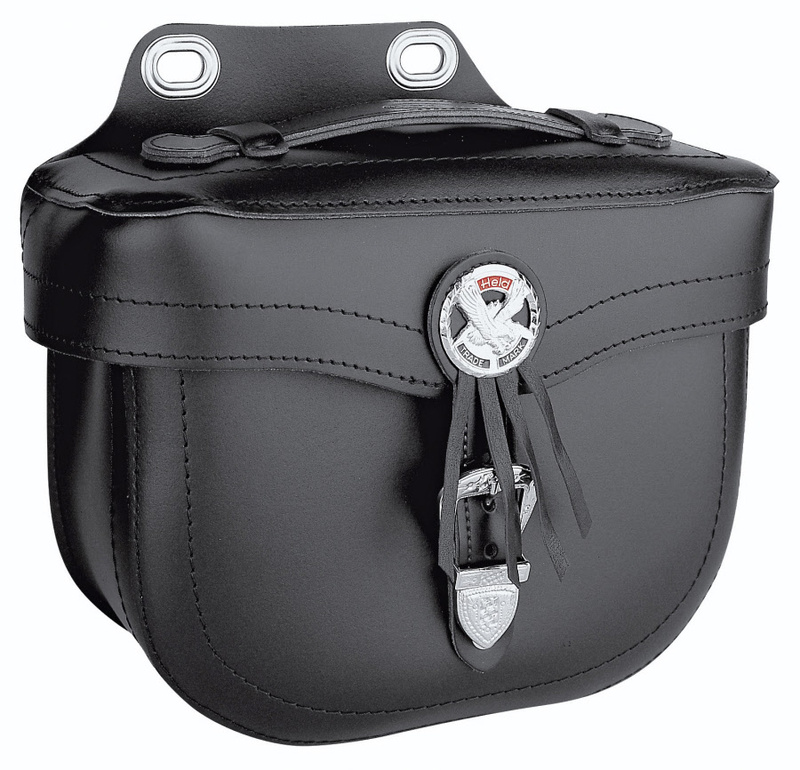 HELD Virginia Saddlebags (Click Fittings) 4465.01_000 motorcycle leather top range saddlebags 1pr Saddle bags made of Matt cow hide. Ideal for bikes with high exhausts and set back indicators (e.g. Virago). Closing straps with decorative metal clasps and conchos. Contains 2 x 8 ltrs.